This late Georgian town house was entirely refurbished to suit the needs of its new owners, a young couple with two small children. The kitchen is very visible from the dining area and wast herefore designed as a crafted item of furniture. 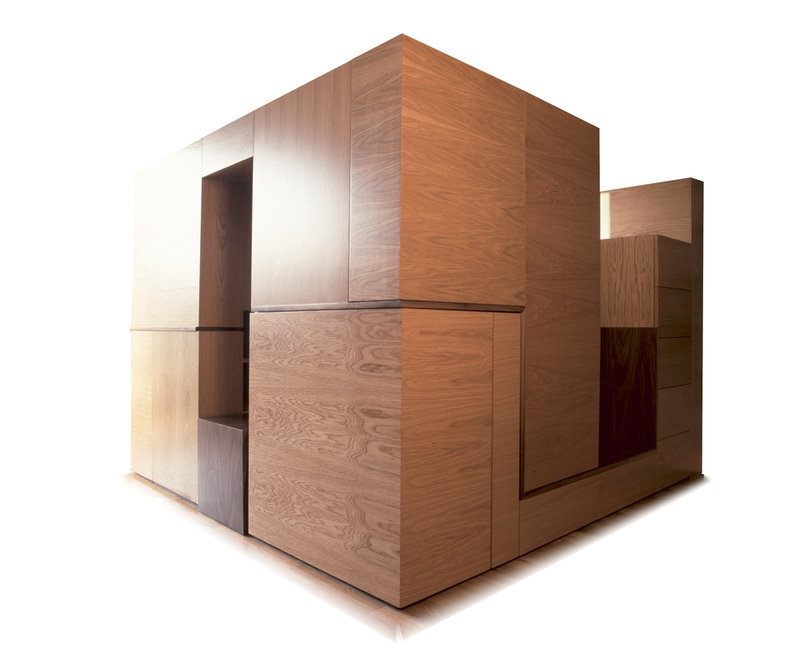 The base units doors are all veneered with a single piece of veneer so that the wood grain runs across the whole surface. The wall units are especially tall and vertically proportioned to suit the higher ceiling. A thin expoy resin panel has been used for the work surface which folds up at the back and sides. All sockets are concealed beneath the wall units. The main bedroom occupied the first floor front drawing room and a bath was included within the same space.